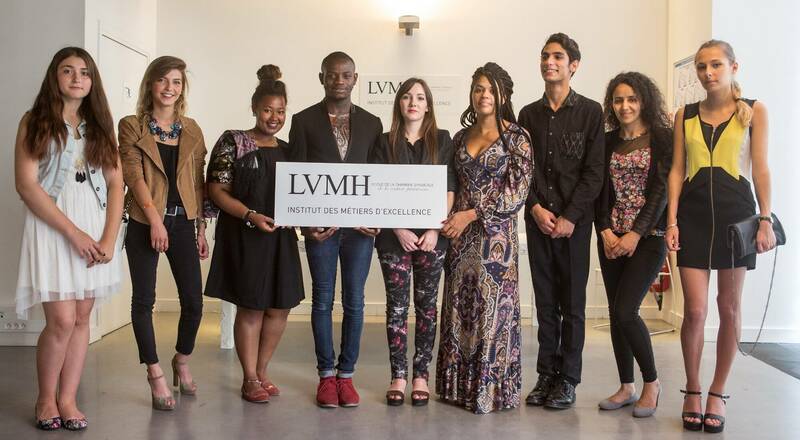 LVMH announces the creation of “L’Institut des Métiers d’Excellence” (IME), a program of professional training that will allow the LVMH Group to ensure the transmission of its savoir-faire while enhancing the different métiers in the fields of craftsmanship and creation among young generations. Starting in September, the IME will enable accredited degrees, through paid apprenticeships within the Maisons of the Group. For each training program, the students will benefit from an educational curriculum combining theoretical and practical training at a school, as well as practical experience within the workshops of the Group’s Maisons. Students of the Initiative will also have the opportunity to interact with master craftsmen and designers of LVMH. A first in the luxury sector, the IME is the only training initiative which partners with leading schools in order to deliver a degree and improve the employability of young people while delivering apprenticeships in the fields of craftsmanship and creation.